In order to be registered with the Brønnøysund Register Center any company owner needs to provide an address for the enterprise. If you need a physical space for your business in Norway you could either purchase an office or rent a property where you could conduct your activity. Our consultants in company formation in Norway can help you with the elaboration of the renting or purchase agreements or they can provide you with professional virtual office services so that you can set up easily your company in this country. According to the Norwegian statistics, it is more advantageous to buy a property than rent one for your office. The average price at which office spaces were sold in this country last year is of NOK 3.5 million (US$ 410,179). On the other hand the rents for the most important business centers such as Oslo or Stavanger are around NOK 8,670 (US$ 1,024) per month. 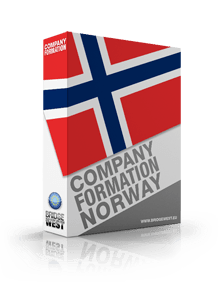 Depending on the location where you want to set up your company in Norway the costs may vary in great measure. You have to consider as well many aspects before deciding which version is more suitable to your business demands. While renting provides more flexibility, a central property will help you increase your visibility and may contribute in time to your image as a stable and trustworthy entity. Through a due diligence investigation, our experts in company formation in Norway can help you determine whether a particular location or office space is worth the investment. Were to rent office space in Norway? There are several principles on which you can rely when you start searching for an office space. However depending on the particular characteristics of your enterprise, some criteria might be more important than others for a wise choice. For example depending on the domain in which you operate, you might have other needs in terms of location than other entrepreneurs. For example if you work in agriculture or oil industry, you may need a remote location, which implies lower costs. Another element to consider is the equipment that your business needs in order to function professionally. Some facilities may be difficult to find at a private provider, therefore you will need to orientate towards a business center instead. Feel free to contact our specialists in company registration in Norway for assistance when buying or renting a property for your company and for complete guidance when forming your company in this country.